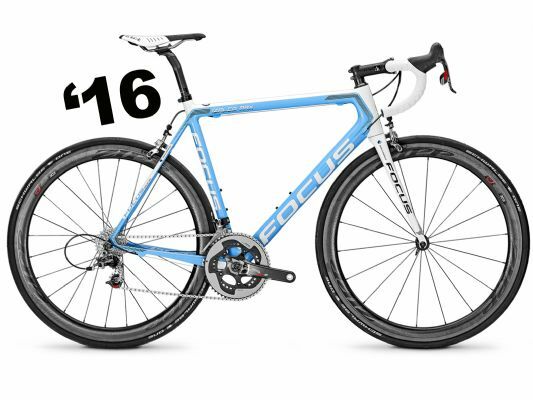 If you are looking for a no-doubter ride that is suited towards racing and is super lightweight, then take a look at this review of German brand, Focus, and their Izalco Max AG2R Red. The Izalco Max is the successor to the Izalco Pro, and has been lightened, stiffened, and is more comfortable for racing. Staying traditional with all-external cable routing, the full-carbon PressFit 30 BB (bottom bracket) was chosen by Focus in order to reduce maintenance. This is the same reason for the Izalco Max AG2R featuring a traditional cable routing that is all external. If you choose to go electronic, know ahead of time so that you can purchase the Izalco Max frame in a Di2/EPS-ready version. This German brand found that it could keep the weight down while making a stronger and stiffer frame by limiting the tube diameters. 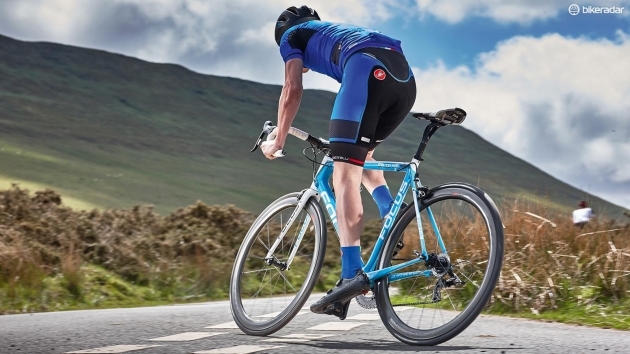 This goes against the conventional thinking of most cycling brands, and this is why it works. The tubes are mainly straight and the tube thickness goes down to as small as 1mm in some places. The result of this design is a very light cycle. The 54cm frame weighed in at only 720 grams, including the bottle cage bolts. This extremely lightweight frame is perfect for racing and has the qualities of a great endurance cycle. The Stable Stiffness Per Size feature has become more and more common among the top brands of racing and endurance cycles across the globe, which has significantly increased the quality bikes for riders of all sizes. SSPS means that regardless of the size of your frame (whether it is 50cm or 56cm), it will ride and feel exactly the same. The Izalco Max is mechanically geared and is damn near close to perfect — while the frame is mechanical-only, if this is what you are looking for, this bike and its hand-picked components will give you a smooth riding experience that you wouldn’t expect. The head tube has a vertical external rib, while the 295 gram fork is made from a single and strong piece of carbon. The bearing seats for the 1 1/8 – 1 1/4 inch headset are made from carbon as well. The frame’s dropouts are also made from carbon, which keeps the overall weight down. 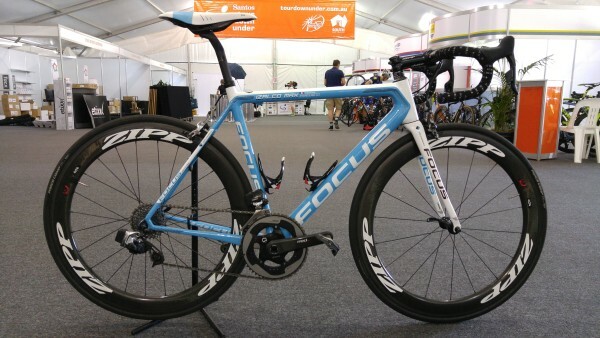 One of the best parts of this model by Focus is SRAM Red. While most bikes are being outfitted with Shimano, for many, it’s great to be able to ride SRAM Red once more. The slick SRAM groupset is top-notch and features Double Tap shifting that snaps into gear immediately. The smoothness of the trim-free Yaw front derailleur is lovely as well. This groupset is incredibly impressive and is the lightest groupset available. The rest of the components are equally pro-level. The Red brakes, Cyrano stem, R3 Bar, and Fizik cockpit all give this Izalco Max what it needs for compliance on rough roads. The Fizik Antares saddle tops off the Concept split carbon seatpost, which offers a bit of give. Finally, the tires are 25mm Continental GP4000s IIs. With incredible hardwearing and a grippy and sticky feel, you can rest assure that your tires are going to stay on the pavement and stick with you around fast bends. 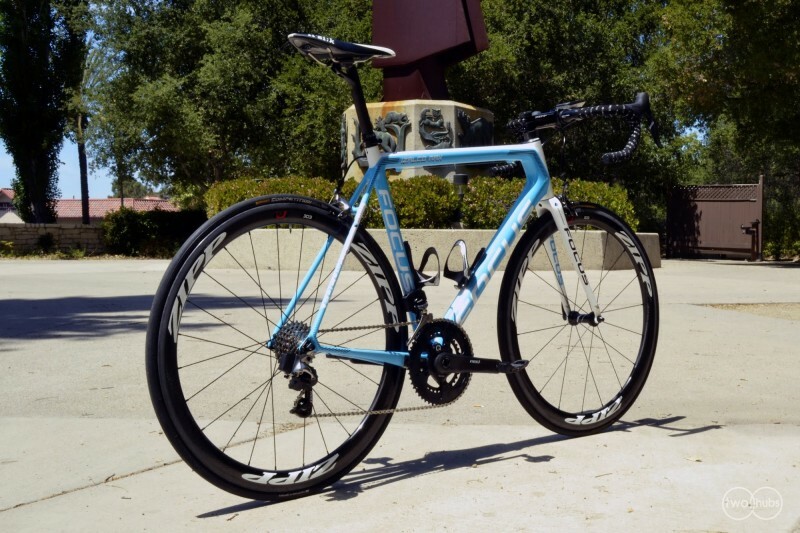 This Izalco Max is a great cycle to ride. The ultra light chassis means that only minimal steering input is needed. 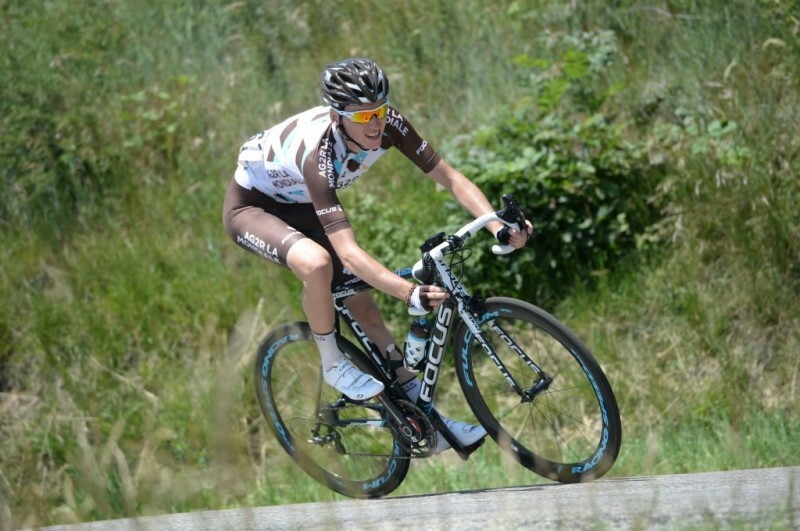 Don’t be mistaken by the extremely slender look — the saddle is extremely solid; unerring through the steepest, bumpiest descents, as well as the fastest bends. The rolling roads will be easy with the Zipp 303 Firecrests. The tires accelerate fast, are very speedy, and are not influenced by crosswinds. While it is not a cyclocross bike, the Izalco Max can climb superbly — the low weight really allows you to get out of the saddle and attack the slope. With a long and low position, the compact drop of the bar means that you’re not stretched too much when you’re ready to hit the accelerator. This model is a true pro-level racing bike. The Max copes with even ragged road surfaces with ease and is perfect for daily riding. Mechanical-only frame. 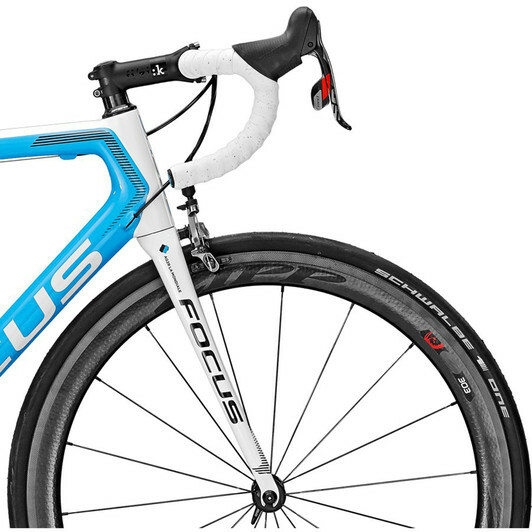 If you think you will want to go electronic, you will want the Focus Izalco Max frame in the Di2/EPS ready version. Overall, the Focus Izalco Max AG2R is one of 2016’s greatest bikes, with SRAM Red and a mechanical frame that is extremely lightweight and aerodynamic, yet allows for traditional SRAM components and external cable routing. 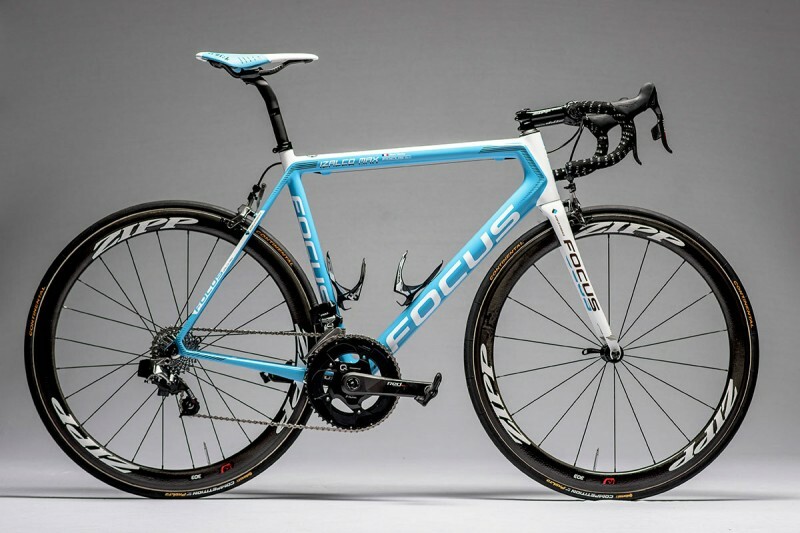 While this frame is mechanical only, Focus offers a very similar bike in the same Max line for an electronic-ready setup. 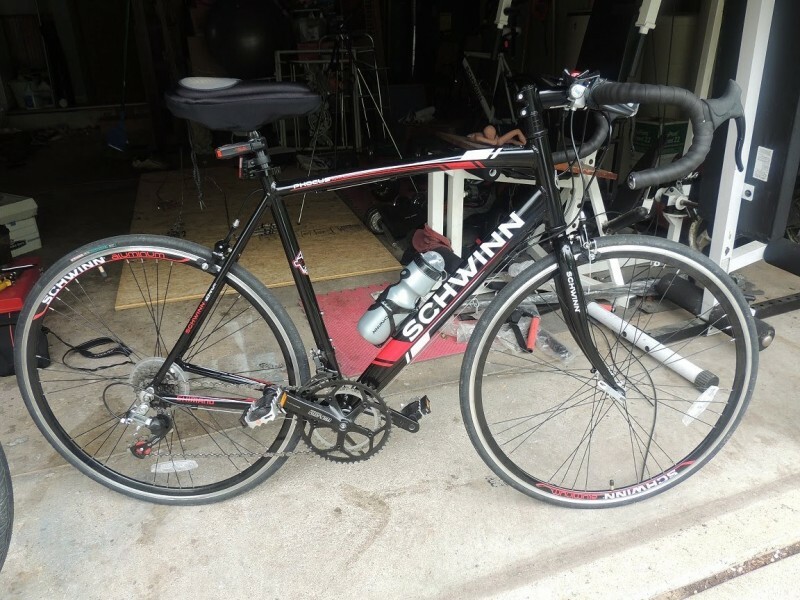 What is most impressive is that the high quality, pro-level parts are offered on this perfectly engineered bike for hundreds less than other brands would sell it for. And this baby isn’t cheap. Seeking out a pro-quality bike only needs to go as far as this German brand to save you money while offering a top of the line cycle.